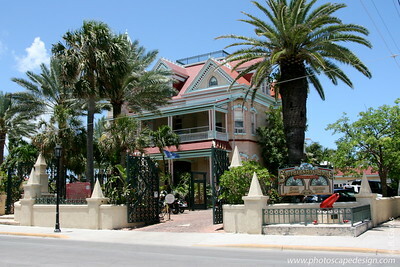 Key West (June 4, 2008) Located on the ocean, The Southernmost House Grand Hotel & Museum was built in 1896 for a cost of $250,000 (approximately $6 million today) by Judge J. Vining Harris, who married into the prominent Curry family. 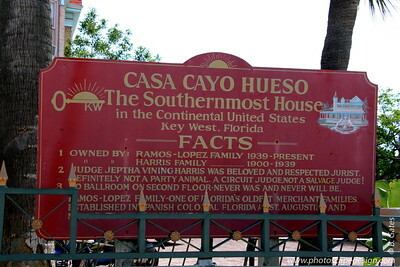 In 1939, the Ramos family purchased the property, which had been converted into a Cuban nightclub called Café Cayo Hueso (Bone Island Café), for $49,000. 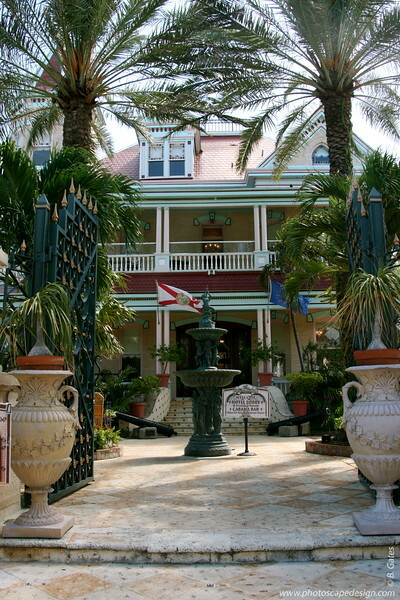 In 1954, it was converted back into a residence and remained so until 1996 when a $3 million restoration began to turn it into a 13-room hotel, with a museum on the first floor. 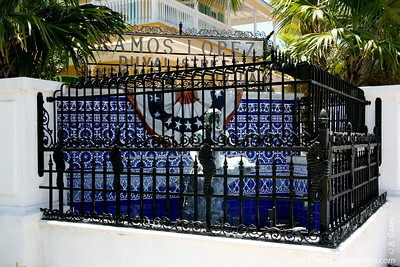 Exterior paint colors are authentic, as are elegant crown moldings, ceiling medallions, ornamental woodwork and friezes, which were originally painted white, but have been redone in splashy shades reminiscent of its days as a Cuban nightclub. 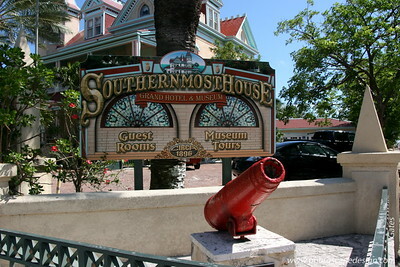 Key West (June 4, 2008) The Southernmost Hotel is across the street from the Dewey House Bed & Breakfast and the La Mer Bed & Breakfast. 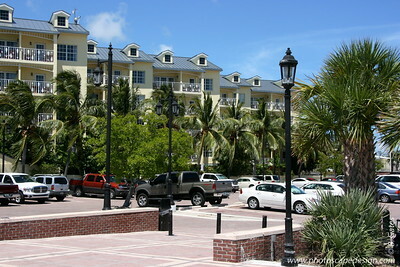 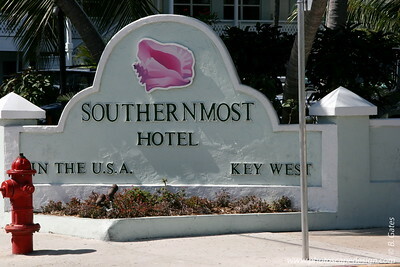 They are part of the Southernmost Hotel Collection. 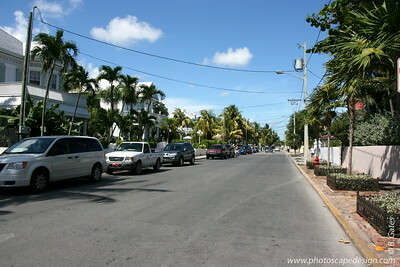 Key West (June 4, 2008) Looking down South Street . 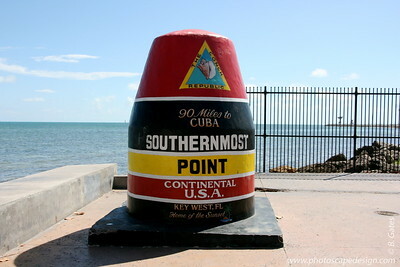 . . behind us is the Southernmost Point. 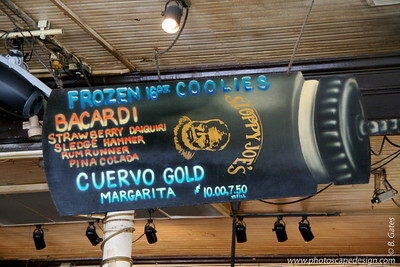 Key West (June 4, 2008) A trip to Key West is not complete without a visit to Sloppy Joe's :) Sloppy Joe's has been located at the corner of Greene and Duval Streets since 1937. 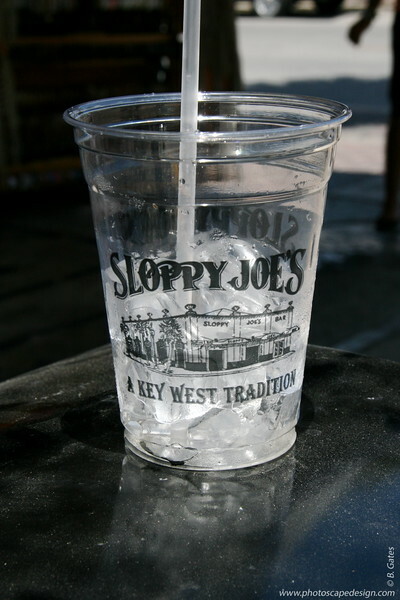 The official beginning of Sloppy Joe's Bar, the famous and infamous Key West saloon, was December 5, 1933--the day Prohibition was repealed. 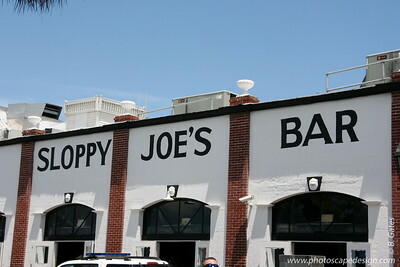 The bar was destined to go through two name changes and a sudden change of location before it would become Sloppy Joe's, seen by millions of visitors to Florida's southernmost outpost. 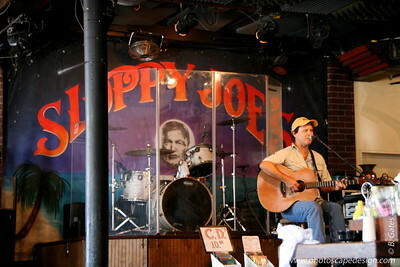 It opens at 9:00 a.m. As morning transforms into day, so does Sloppy Joe's. 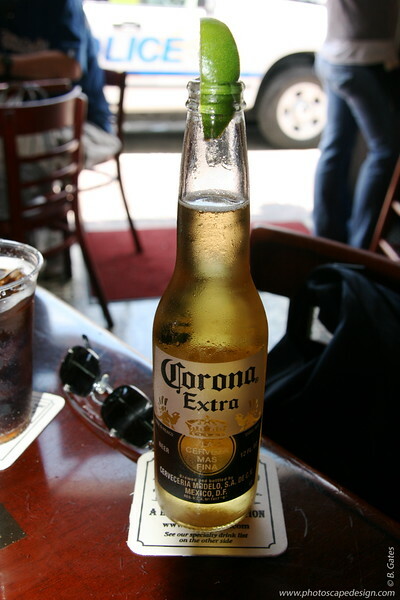 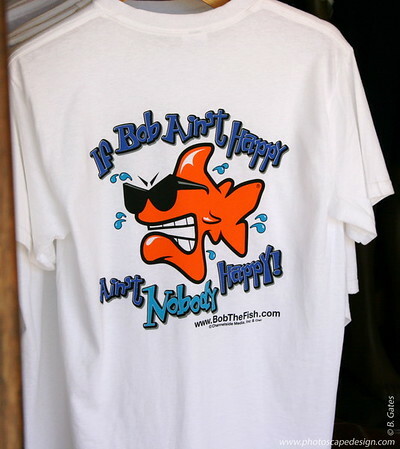 Live entertainment begins at noon and lunch continues with a menu offering quality food and satisfying large drinks. 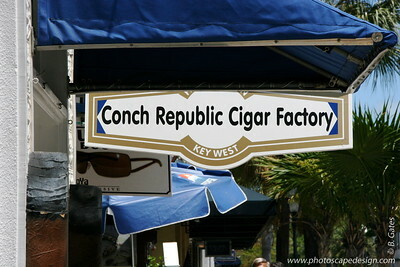 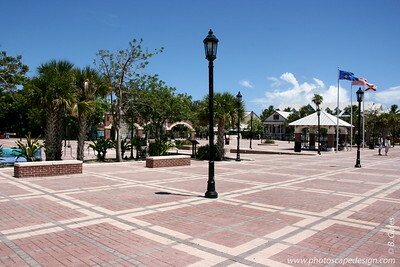 Key West (June 4, 2008) Corner of Greene Street and Duval Street - Home to Sloppy Joe's. 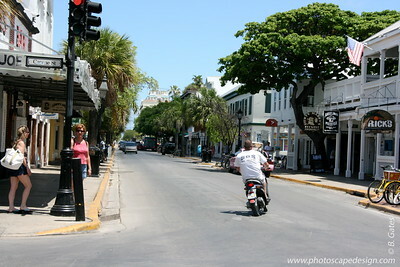 Scooters and Key West go hand in hand. 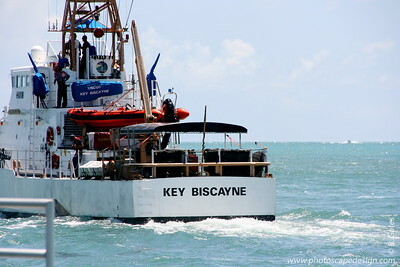 Key West (June 4, 2008) The decision to launch the Conch Tour Train was brought to fruition on January 18, 1958, by Bill and Olive Kroll. 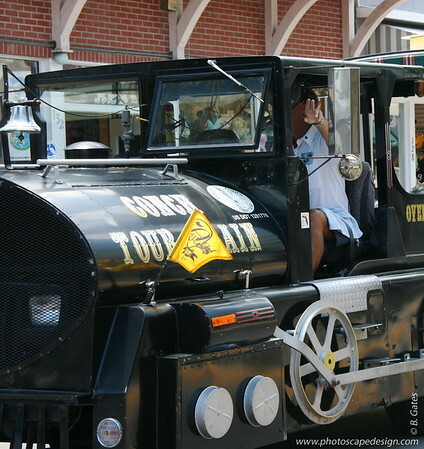 The train tour business started with one train #97. 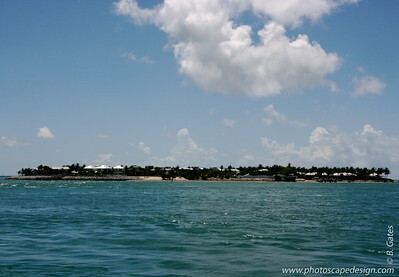 Key West (June 4, 2008) View of Sunset Key Island from Mallory Square - Once upon a time, one could watch the sun disappear into the water from Mallory Square. 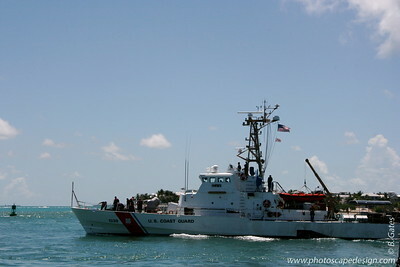 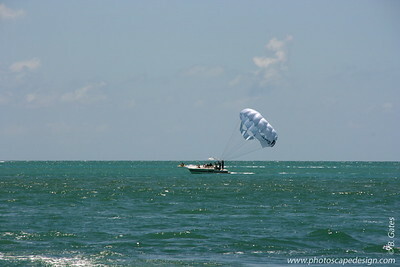 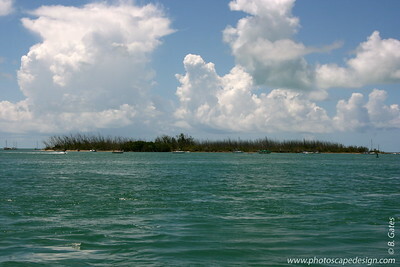 If you want to see that happen from Key West now, you must cross the water to Sunset Key Island.